A quick browse through your Twitter feed will show that people don’t always flock to companies for information about their products and services. Instead, they’re seeking influencers – popular, personable and independent content creators who aren’t afraid to share opinions on social media. And the statistics paint a clear picture why. More than 90% of consumers trust earned media – characterized as word-of-mouth and recommendations from trustworthy sources – more than all other types of advertising, according to a 2012 report from Nielsen. Plus, a 2010 McKinsey study found that customers won through earned media have a 37% higher retention rate. The right influencers should be able to inspire action, whether it’s driving traffic to your website or accelerating your brand’s own social development. Genre: The more applicable to your campaign, the better. A target influencer should focus on a defined genre, made up of sub-genres that are closely related. An example could be business. Sub-genres may include organizational leadership and professional development. Specialty: Within a sub-genre, notable influencers often have a clear specialty. Going back to the business example, your ideal influencer could be an expert about building effective start-up teams. Reach: Determine how large the audience must be. An influencer tweeting to an audience of 250,000 will usually garner more interaction than one with 10,000 followers. But keep in mind, it may be hard to get the busiest, most prolific influencers involved in your campaign. Once you’ve made a list of influencers, monitor their social activity. Your goal is to familiarize yourself with their voices and which types of content earn them the most engagement. This will help you craft a pitch – if creating and sharing blog posts on Twitter is what works best for a certain influencer, that’s probably what she should do when working with your brand. When possible, avoid asking influencers to play a role in your campaign immediately after following them. Sure, you may get a few bites. But you’re more likely to find success by building a relationship first. If you represent a recognizable brand, an influencer may even post a celebratory message when you follow them. 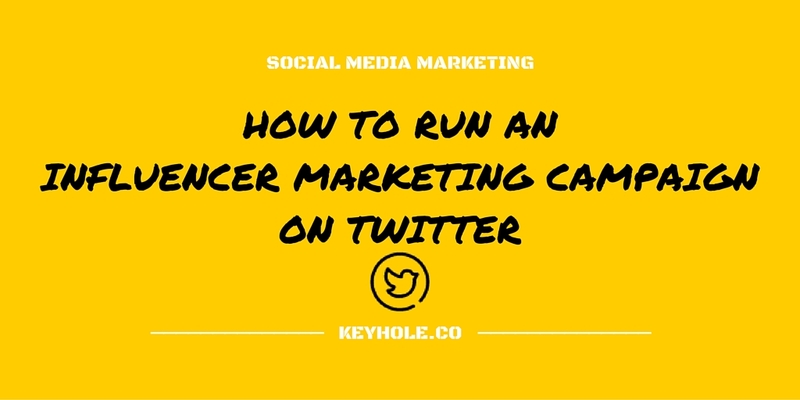 You can reach out to influencers via Twitter, but the 140-character limit may hinder you. Instead, search for contact information through other social channels or their personal websites. Send a brief, friendly email that introduces your campaign. Influencers are busy people, so don’t go overboard with flowery text. You can explain more details about the campaign and their role once they’ve agreed to get involved. The introductory email can quickly touch on what your Twitter campaign is about, how you’d like the influencer to participate and where her content – whether it’s a tweet, picture or anything else – will end up as your campaign progresses. Depending on how established she is, you can expect to hear back in about a week. If not, don’t be afraid to follow up. When an influencer expresses interest, fill him in about the campaign’s details and highlight how he can benefit by participating. Presenting a campaign that’s worthwhile to both of you will help your pitch stand out. After all, you probably aren’t the first marketer who’s approached him. Backed by your influencers, it’s time to start the campaign. Depending on your plan and pitch, this might mean checking off a few boxes on your to-do list. Above all, a Twitter campaign should involve a creative hashtag that encourages users to participate or take some sort of action. Using a fun hashtag is an ideal way for users to interact with their favourite influencers. But it’s also an avenue for your brand to participate, engaging new consumers. A Landing Page: These are single web pages designed to capture leads through an opt-in form. If your campaign is meant to drive traffic to a landing page, ensure it references your hashtag and influencers. But try to lure a visitor’s attention to the opt-in section, so you can collect contact information. Attractive Social Content: Along with your hashtag, show off your brand’s products or services with attractive and shareable content such as images and video clips. Tweets to Promote Your Influencer: Twitter influencers have many followers, but your followers may not know about the influencer. As you create eye-capturing content to promote the campaign, make sure some of it incorporates her Twitter handle. As your campaign progresses, take time to analyze how it’s shaping up. Gaining insights on key metrics is important when figuring out what you’re doing well and which aspects must improve. Make sure to track the reach and engagement of your influencer campaign, in particular. Reach is a message’s potential audience, based on the poster’s number of followers. 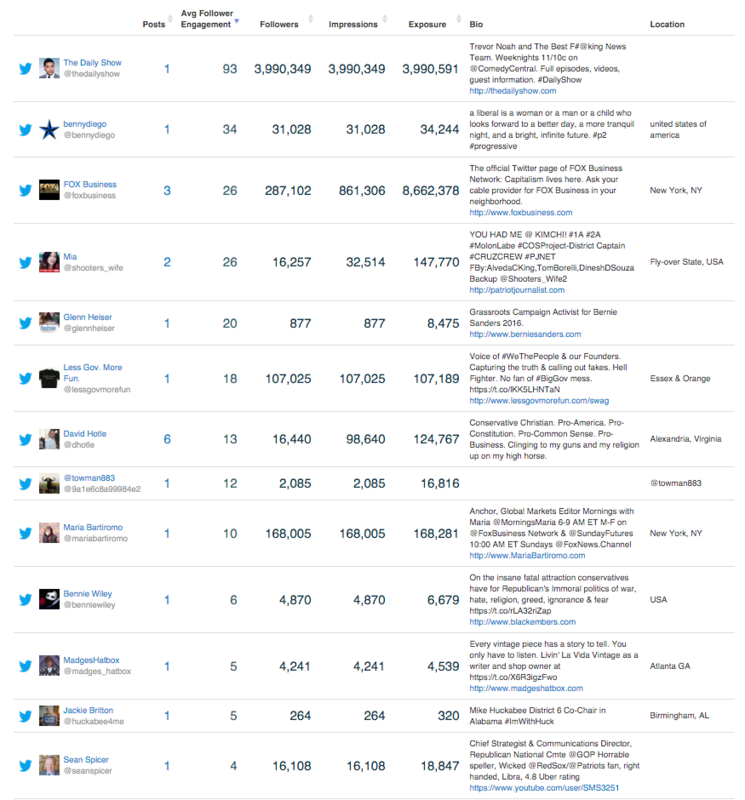 If 100 people with an average of 300 followers tweet with your hashtag, it has a reach of 30,000. 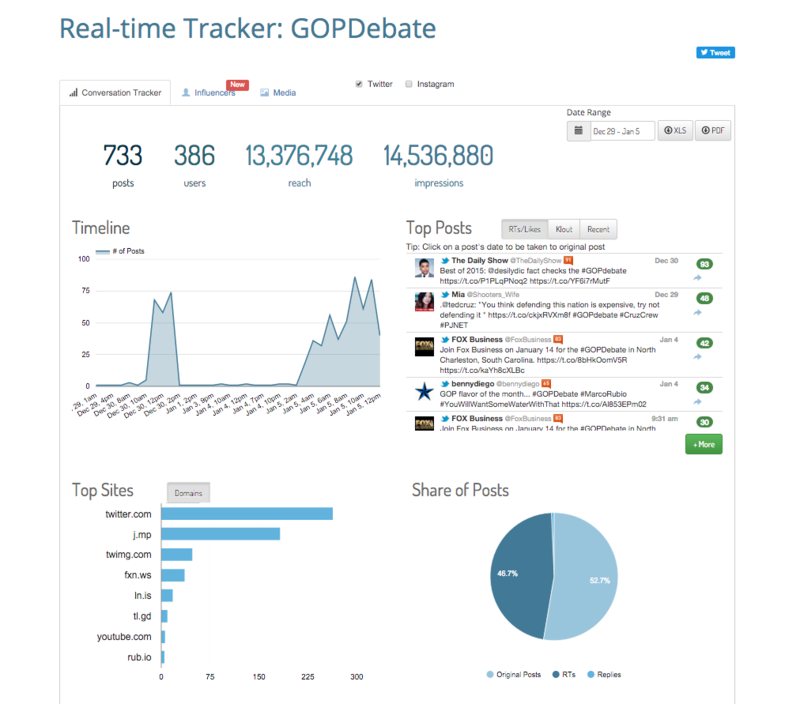 Reach reporting can also be based on unique reach, top participants and when users tweeted with the hashtag. Engagement reporting can involve measuring user participation through likes, shares, comments and clicks per post, as well as the follower impact of your campaign. When the social media campaign is over, thank your influencers for helping out. The results largely came from their efforts, so send them a genuine message to compliment their work. It’s best to end on a positive note, especially if you’d like to work with them again. After pleasantries, it’s time to think about your next campaign. Learn from your approach, pitch and results to improve execution for round two. With an original idea bolstered by the support of leading influencers, you may end up as the brain behind the next big social campaign.